There are a lot of things to love about glass kitchen tiles. 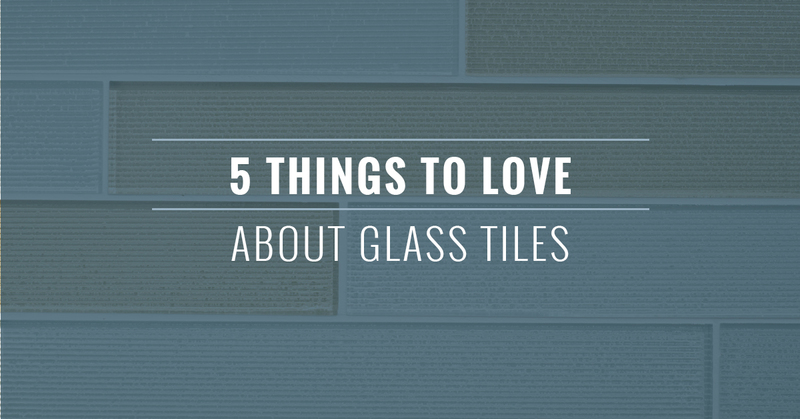 It’s something that we know a lot about here at Transworld Tile in Thousand Oaks because we’ve helped hundreds of customers install glass tiles in their homes. If you are searching for a tile solution for your kitchen makeover, then you should consider glass as a solution. Here are five of the things we love about it and think you will, too. They offer so much color variety. Sometimes shopping for tile can feel like choosing between shades of gray and beige. But not with glass tiles. These tiles offer a huge array of color choices; so big, in fact, that you’ll be able to find virtually every color of the rainbow. A lot of tile manufacturers take the guesswork out of creating an interesting combination, too, and offer glass tile mosaics that have been carefully combined to create interesting color combinations for your kitchen. If you haven’t been able to find the color you want in other tiles, then the glass is the way to go. Kitchens can be rough and tumble places. Thankfully, glass tiles are up for the challenge. While you might think that being made of glass would automatically mean these tiles are more fragile, that’s actually not the case. That’s because the tiles are made from a thick piece of durable glass that’s resistant to breaking, even if you end up knocking them with a frying pan accidentally. That doesn’t mean they are invincible, though. You’ll need to be more careful if you are using them on your floor, for instance. But even if they are broken, a skilled tradesman will be able to make the repair for you rather quickly. They are resistant to mildew and mold. This might be less of an issue in the kitchen than it is in the bathroom, but it’s still something to note. Because glass tiles aren’t porous, they are more resistant to mold and mildew than other tiles. This is good news for allergy sufferers who need to keep these dangerous allergens out of their household. There is nowhere for the mold or mildew to grow, so you can rest easy about putting glass tiles around the sink or stovetop where they might encounter a lot of moisture over the years. They can make your space look bigger. Glass tiles have the unique property of being luminescent. This is different from other tile options. Glass tiles are slightly transparent and the light that shines onto them is reflected back. This gives the tiles a wonderful “deep” appearance, but it can also make your space look larger. The reflected light can enhance both the natural and artificial light in the room and make it all look bigger and brighter. If you have a small or dark kitchen, glass tiles and some good lighting can really open it up. They are so easy to clean. Maybe most importantly for the kitchen is that fact that the non-porous surface is resistant to staining as well. That means if you accidentally spill some spaghetti sauce or a bottle of red wine on them, you’ll simply have to wipe them off and they’ll look as good as new. Kitchens are hard enough to keep clean without worrying about the state of your tile. A little bit of glass cleaner will go a long way towards cleaning your kitchen tiles. They are also easy to sanitize so you can help ensure you aren’t spreading bacteria from your kitchen surfaces to your food. Want to Incorporate Glass Kitchen Tiles into Your Design? Our team can help! Transworld Tile offers a huge selection of glass kitchen tiles that will bring new beauty into your space. With over three decades of experience, our team has built a foundation of knowledge that helps our clients find the tile that’s absolutely perfect for their design needs. Get in touch with us today and make an appointment for a free consultation. We’ll talk to you about your makeover and design plans and then offer suggestions that you’ll love. You can schedule your consultation by giving us a call or contacting us through our website today.